Discover the Best Madrid Travel Guide up to -70% off To take advantage of these offers, join now for free! Madrid is a lively, global city that's really made a big name for itself in the past ten years or so. The city's main attractions have all been revamped to provide bigger, better facilities and more stunning exhibits, while the city centre has an abundance of boutiques, pavement cafes and bars, and retail outlets. Madrid has really embraced the gastro-revolution that's taken place throughout Spain, offering local delicacies, tapas and sophisticated dining experiences to suit the most jaded palate. While the city's nightlife is second-to-none, offering a variety of cocktail bars, nightclubs and local barrios open 'til dawn. 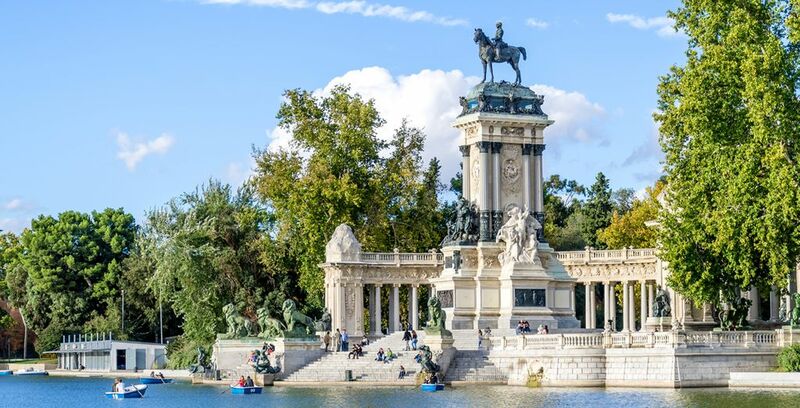 Long weekends and city holidays are wonderful in Madrid, as this culture-laden city offers something catering to every taste, along with a buzzing, eclectic atmosphere any time of day or night. With its stunning exhibits of paintings from major Spanish, Flemish and French artists. The entrance to the museum is situated on Felipe IV Street and it's open from 10am to 8pm Monday through to Saturday and 10am to 7pm on Sundays and holidays. You can visit for free between 6pm and 8pm any Monday to Saturday evening. offering a fantastic selection of European art under one roof, alongside temporary exhibitions of works from some of the best artists. The Thyssen is situated on Paseo del Prado and the general entrance fee is 12 euros, although visitors on Mondays will find it's free. Situated close by the Prado Museum and offers a lovely green oasis in the centre of Madrid. There's plenty of room for quiet contemplation and abundant numbers of monuments and elegant buildings to admire in the park and it also hosts a variety of events and spectacular extravaganzas throughout the year. The most prestigious bull ring in the globe and home to the Museo Taurino, with its fine architecture and fascinating insight into the history of bull fighting. The bull ring is located in the Salamanca district and visitors can tour the museum and bull ring. Is an imposing mansion in Italian style which is home to the private art collection of Don Jose Lazaro Galdiano. Group tours and private tours are available of this specialised collection and the museum also hosts a wide variety of activities throughout the year. The entire permanent collection was bequeathed to the state on the death of Don Jose Lazaro Galdiano. The grandiose central square of Madrid which offers visitors a peek at some of the most imposing architecture in the city. The square is a popular tourist attraction and hosts a variety of vibrant street entertainments and seasonal markets throughout the year. Which is the official home of the Spanish royal family and offers guided tours to the public. The Palace tours operate most days of the year between 10am and 6pm from October to March, and 10am to 6pm from April to September. A variety of unguided visits are also available, including the 45 minute visit to the Halls, the 30 minute visit to the Royal Armoury and individual admissions to the Palace's Royal Kitchen (insert link https://entradas.patrimonionacional.es/en-GB/informacion-recinto/6/palacio-real-de-madrid). Is a public square in Madrid that's renowned as one of the busiest areas of the city. The square is home to the Spanish clock whose bells announce the New Year grape eating tradition that's common throughout Spain. The square is home to a number of monuments and statues and locals consider it to be the very heart of the city. Street performers and entertainers can be found in the square on a regular basis, however it can be very congested. Is home to the most important collection of modern art in Spain, including Picasso's Guernica. There are plenty of works on display from Picasso, Dali and Miro and the collection ranges from the 1920s right up to the 1980s. The museum is open on Mondays, Wednesdays through to Saturdays and some Sundays. Admission is 10 euros and it's possible to make individual or guided tours and also private visits (insert link http://www.museoreinasofia.es/en/visit). Is the most famous shopping street in Madrid and an architectural delight to boot. The street features ornate buildings dating back to the early 20th century and is home to upscale boutiques and fine dining establishments, it's also commonly known as the Spanish Broadway and offers a wide range of exciting night-time entertainments and activities. The best times to visit Madrid are really in the spring or autumn, between March and May or September to November. These times of year will never be unbearably hot and it will be possible to avoid the crowds of tourists that congregate in the city in the summer months. Winter is also a good time to visit Madrid, as many of the hotels reduce their rates in winter, although not all the attractions and shops will be open at this time. Travellers from the UK to Madrid will need a valid passport and flying is by far the easiest way to get to the city. It's possible to source cheap flights from a variety of different budget providers and there are various travel options from the airport to the city, including regular metro trains and taxi cabs. Regular train services also operate to Madrid from a variety of European cities, including Paris and Berlin. 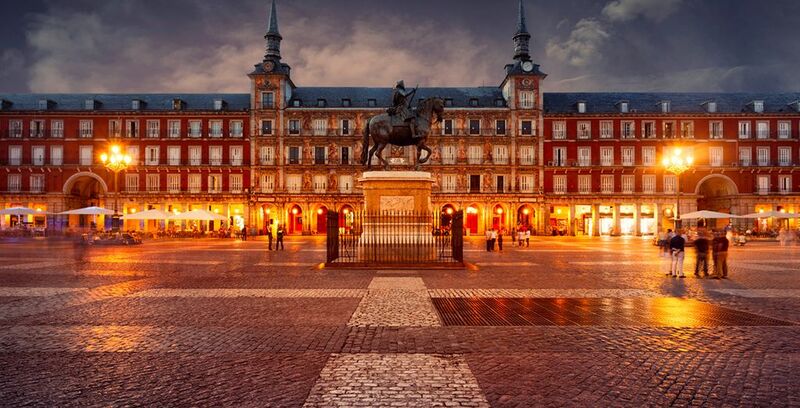 If you plan to tour Europe by train, don't hesitate to add Madrid to your list of chosen destinations as it's easy to travel to the city by high speed train. 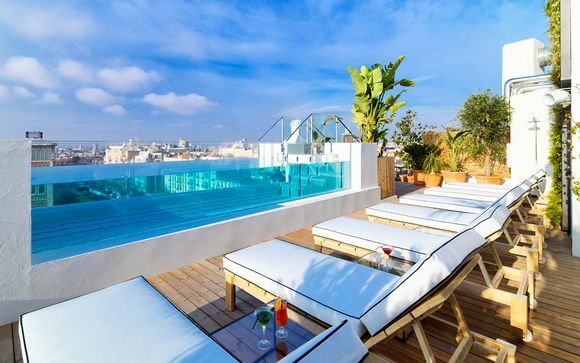 Which hotel to choose in Madrid? Radisson Blu Madrid Prado 4* which is situated in the city's Art Triangle and offers easy access to all city centre attractions. 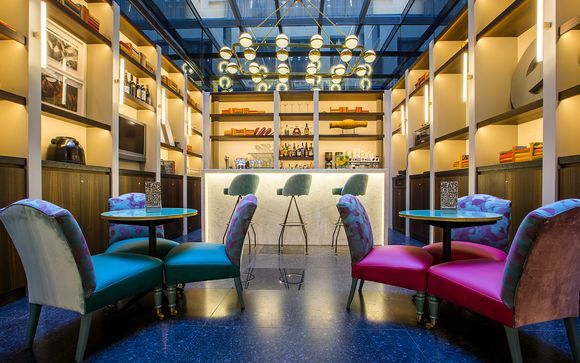 The Madrid Radisson Blu is an elegant, four-star rated accommodation, within easy walking distance of Reina Sofia, the Thyssen and Prado museums. The hotel is a chic and colourful boutique outlet, with spa and Turkish bath facilities, alongside a grill restaurant. All rooms feature a flat screen TV and coffee making machine and are suitable for two adults and one infant. Miguel Angel 5* which is situated in the truly elegant Salamanca district of the city. This hotel features an exclusive, luxury spa and several delightful restaurants. The hotel offers 267 rooms, all of which are equipped to the highest possible standards. There is also a well-equipped fitness centre on site. 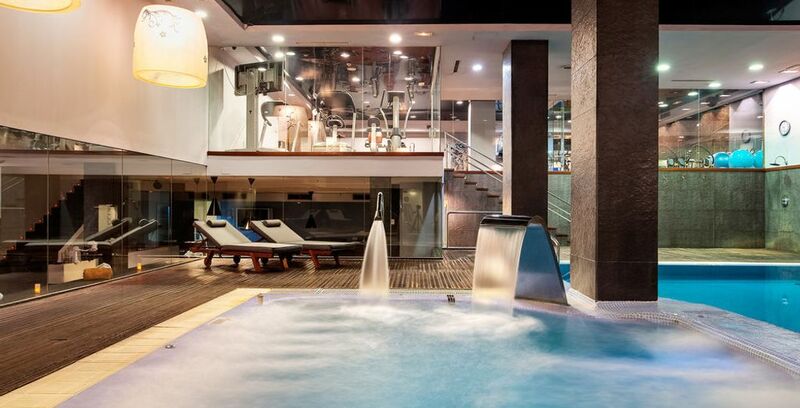 The Walt Madrid is a three star hotel located in Madrid's Gran Via shopping district. The hotel offers Italian design and furnishings overlaid with true Spanish boutique style. Guests will benefit from free WiFi and discounts on the 24-hour car park. The hotel has a private terrace and the bar does serve tapas, but there's no restaurant on site. You can source details of more offers on Madrid hotels when you check out the Voyage Privé flash sales on a regular basis. Spain is home to fiestas, carnivals and holy days throughout the year, so it's highly likely visitors will be able to participate in some form of local celebration at any time of year. Nochevieja on 31 December when several thousand locals and visitors gather at Puerta del Sol to wait for the clock to chime the hour of midnight and participate in the grape eating tradition that's common throughout mainland Spain. Visitors and tourists will find this is a raucous, lively night out which is likely to last well into the early hours. Dos de mayo, on 2 May is a celebration of the date on which the residents of Madrid rebelled against the French rule of Joseph Bonaparte. The people of Madrid gather in Plaza de mayo in Malasaña, which was an important battle site. San Isidro on 15 May is an important fiesta which tourists in the city should not miss. Visitors to Madrid throughout August will find lots of outdoor fairs to enjoy in most neighbourhoods of the city, while the 15 August is a traditional, holy festival which marks the Virgin's Assumption. Although Madrid is not particularly famed for its festivals or culture, the city's abundant nightlife is buzzing any time of year and is sure to be an entertaining feature of any visit. One of the tourist attractions not to be missed in Madrid is the customary Changing of the Guard which takes place each Wednesday and Saturday at the Royal Palace. Flamenco is also an important feature of Spanish culture, so a visit to a flamenco show or bar hosting flamenco dancing is highly recommended for any tourist. Although Madrid is a modern city with a diverse population - and home to a variety of people from different cultures - like any Catholic country, it's a good idea to respect local communities and dress in a fairly discreet, conservative manner when visiting some of the major churches in the city. And, finally, tapas is one of the traditional Spanish delicacies which must be tried at least once on any visit to Madrid. What's the currency used in Madrid? Spain is part of the European Union, so the Euro is the principal currency used in the city. There are a number of travel bureaux throughout the city, so it is possible to exchange currencies from most major countries while visiting Madrid, and visitors will also be able to use local cash machines to withdraw euros using valid bank cards and credit cards. Spanish is spoken throughout Madrid, although many locals do speak some English, particularly in the main tourist areas. Is there any time difference? Spain is just one hour ahead of local London times. What's public transport like in Madrid? Getting around in Madrid is easy, with a range of transportation methods to suit tourists of any ability. Travel by Madrid Metro is a quick way of moving around the city, offering cut price tickets if you opt to buy a Multi Card. Local buses operate from 6am to around midnight every day of the week, with special night buses operating throughout the city centre from around 11pm to 7am daily. Taxi cabs are available at local taxi ranks and via phone or app. Train services operate routes to the suburbs and other Spanish locations. It's also possible to hop on city tour buses to get a more rounded view of all the Madrid sights. What should I pack for a holiday in Madrid? Packing for your holiday will be very dependent upon the duration of your stay and the sights you plan to visit. If you're purely heading to Madrid for a week of clubbing and drinking, you should opt for the kind of outfits you'd wear at warmer times of year in the UK. Visitors in spring, autumn and winter should be prepared for the likelihood of some rainy weather, so it's important to take raincoats along as well. If you're visiting Madrid during peak summer weather, you can expect temperatures from 30 degrees and upwards, so the clothing packed should be reflective of this type of climate. Many tourists spend a good deal of the day walking or travelling between different attractions, so light and comfortable clothing is recommended, along with flat shoes that will be easy to wear throughout the entire day. What are traditional Madrid souvenirs? Madrid is home to a thriving arts and crafts community, so ceramics and flamenco accessories make great souvenirs to take home or gift to friends and relatives. If you want to take a traditional taste of Madrid back home, the Jamon Iberico is a perfect savoury delicacy. Football fans will naturally be more interested in acquiring shirts or souvenirs from Atletico Madrid, so visiting the stadium shop could well be on your bucket list for any visit to the city. The duration of any visit to Madrid is totally up to individual visitor requirements. Like any major city, you can't expect to get around all the attractions and major tourist destinations in just a weekend. 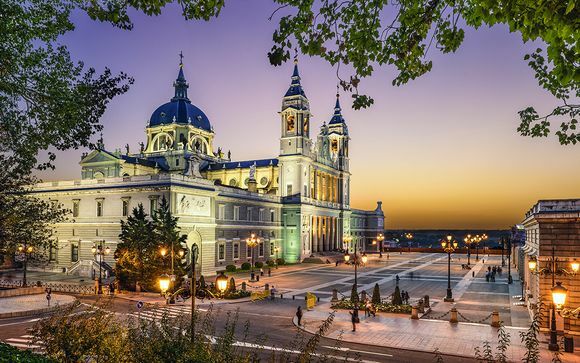 If you want to really get to know Madrid and appreciate all aspects of its lively culture and nightlife, you should plan a visit of at least a week. Some of the most typical Madrid dishes and meal choices include the winter warming stew Cocido Madrileno, which is a pork dish commonly served in cafes and street markets, and Huevos Rotos, a typical dish of meat and potatoes. Other popular local dishes include Bocadillo de Calamares, Churros con Chocolate and Pincho de Tortilla. At present it's possible to travel from the UK to Madrid with pets, so long as they possess a European Pet Passport. This may change following the UK's exit from the EU, however, European nationals can holiday with a pet dog, cat or ferret in any European destination. What are the best Madrid family attractions? 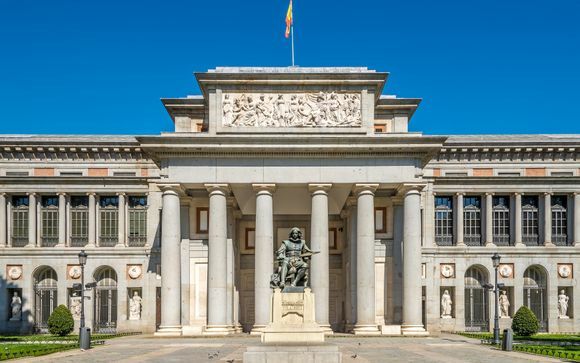 Some of the Madrid attractions ideal for families with children have already been mentioned, however, kids will also appreciate a visit to the Zoo Aquarium du Madrid which is housed on 20 hectares of land and is home to more than 6,000 animals from over 500 different species. Parque Warner Madrid is also a fun-packed family activity day out which will prove to be a hit with kids, particularly after they've spent several days touring some of the cultural delights of the city. Does it cost a lot to visit Madrid? 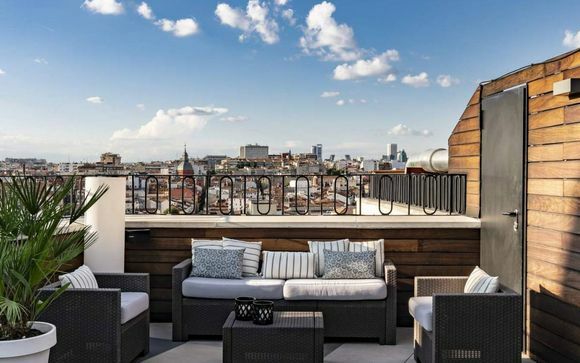 Like any major city and tourist destination, the cost of living in Madrid is not cheap. You should plan your holiday budget with care and carry out some research into typical costs of entry for the attractions you plan to visit. On the whole you can expect to pay between 15 euros and 40 euros daily for food and drink, depending on the dining choices made. If you visit Madrid in the summer months, don't forget to factor in prices for cool drinks on a more frequent basis. Travelling around the city is fairly inexpensive, with most metro or bus journeys coming in at less than one euro - buying saver tickets is an even more inexpensive way of exploring the city. Travelling around the city by taxi can be an expensive way of getting around though, so it's wise to opt for public transport if you're travelling on a budget. Visit our travel deals to Madrid: sun holidays to Madrid, stays in Madrid, weekend breaks to Madrid, Madrid holidays, booking Madrid. Discover more free travel guide.